In Augustus, you will vie with your fellow players to complete "objective" cards for special powers and ultimately for victory points. Each card has 2-6 symbols which you must populate with legionnaire meeples in order to complete the card. These symbols are drawn one at a time from a bag, with all player gaining the benefit equally, but interestingly, there are more of some symbols than others. 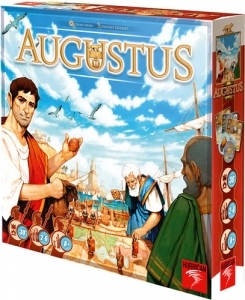 Beautifully illustrated, about 30 minutes to play, and already a favorite for many families, Augustus is one of the nominees for the 2013 Spiele des Jahres. 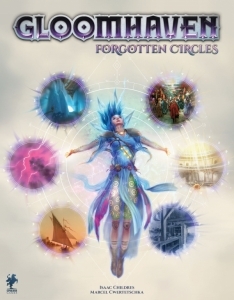 Alchemists: The King's Golem, an expansion to Alchemists, brings you a new logic puzzle with new rewards and consequences. Can you figure out how to animate a golem? And equally important, can you convince the king you are making progress? In Startup Funding, players get a chance to customize the initial resources in their laboratories. The Busy Days expansion makes each round different by offering new rewards (and new costs!) on the order spaces. The Royal Encyclopedia is an entirely new venue for publishing your research. 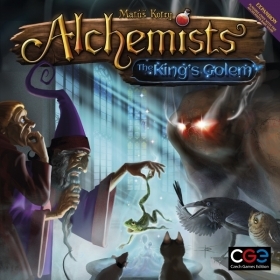 And in The Golem Project, players have the challenge of animating a creature made from magic and clay. "The Pit" adds a new potential room to the game. In "The Pit", a player may activate two gems in the pit, but only by rolling five curses! This means he will definitely need assistance from another player to get back out of the pit again, since all five of his dice will be locked. 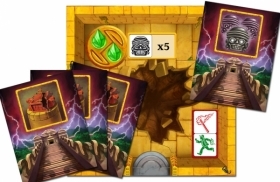 This promo also adds a couple new curse tiles to the game. When playing with curse tiles, the new curses add variety to the curses that might arise. "Lost Treasure" will do exactly what it sounds like it would do: You lose a treasure (if you are playing with treasures). If you don't have a treasure, lucky you! "Really Cursed" forces you to draw two curses for the remainder of the game whenever you get cursed!